The title pretty much says it all - this is one gorgeous drama, but unfortunately I've resigned myself to not caring a whit about Soo In and Yoon Kang together. As a whole the drama's so darned slick that I can't help but watch and wish I liked it more, even when half of the story doesn't resonate much. I'm not sure I can see how they're going to drag out the rest of the story for the full 20 episodes (like really, he knows the merchant is behind everything, so why the delay to action?) 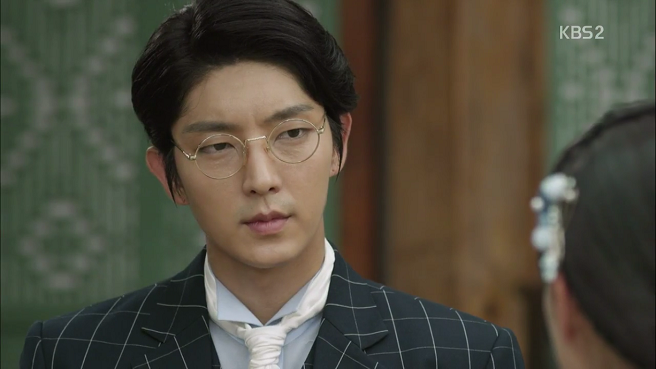 but for now I'll just appreciate the music and scenes of Lee Jun Ki in various guises. I actually wish we could shut out the romantic aspect. I'd hoped Soo In would finally grow up, but she's still as useless and childish as before the time gap (she even admits as much). All she does is run around following things and sit there and complain to her maid. Literally, girl can't get anything right, and pretty much always ends up the shaky and useless damsel in distress (e.g. the gunpowder scene - the one important thing she had to do, and of course that screws up too). She fundamentally annoys me, and as I mentioned before, Nam Sang Mi's petulant performance isn't helping things. 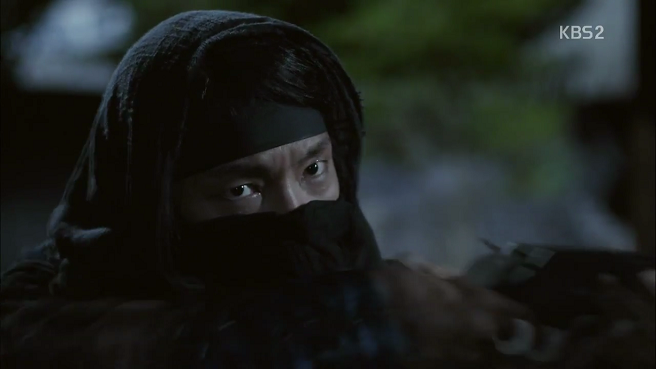 If these episodes have done anything, it's to make me ship him even more with Hye Won, who's easily one of the most competent and complex characters in the show. She's so freaking tough and sensible, unlike the continually immature Soo In. There's this weird disconnect where Nam Sang Mi looks much older than the actress playing Hye Won, but Soo In is written to be younger and constantly referring to Hye Won as her unni. Additionally, Hye Won clearly just exudes self-possession and poise, while Soo In is still a flighty, lovesick mess. The political aspects of this show are something I have to force myself to sit through. I don't much care for the king and his snail-paced efforts at revenge (seriously dude, at this rate you're going to be dead of old age before you get anything done.) It's all very tedious, and it was the same issue I had with TPM. But at least all of the other aspects of TPM (the romance, the revenge) interested me, and I definitely can't say the same here. I'm also conflicted about how I feel about Yoon Kang. He's about as straight-laced as heroes come, without a moral grain out of place. He's so righteous that it's boring, and we should all know that guns aren't exactly ideal for close-quarters combat even though he keeps wielding it around in such situations. Thus, I'm not sure I care for his situation because I actually care or because the drama's made it so this is the only thing we have to care about in this show, and so we have to care. I'm thinking I won't be sticking with TJG, because I can see exactly where it's going (e.g. 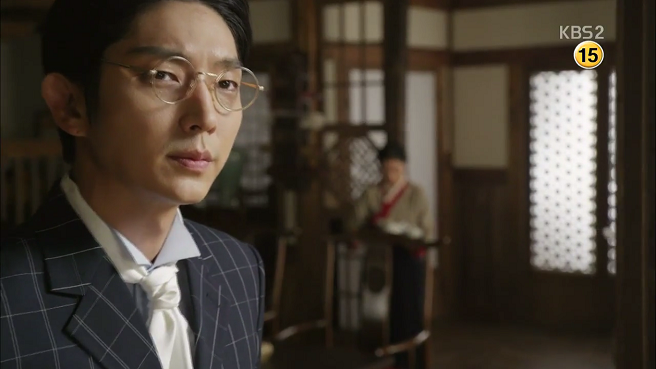 Yoon Kang's going to end up with Soo In after some dramatics with the merchant dude), and it's becoming a chore to sit through. The only thing this show makes me want to do is rewatch TPM, which I'm starting to think would be a better use of my time.